South Florida is known for its nightlife. From South Beach, Coconut Grove and Downtown Miami, to Las Olas, City Place and Clematis; there always seems to be something to do. In many Florida nightclubs and bars – especially those catering to the wilder crowd in hopes of becoming a “nightlife hot spot” – a fun night of drinking and dancing can become a violent, drunken brawl in the blink of an eye. The combination of copious amounts of alcohol and large crowds of people seeking excitement is a recipe for flaring tempers and violent assaults. This is especially dangerous in clubs that are dark and crowded, where patrons who are not even aware of an altercation can be seriously injured because they get in the way or are thought to be involved in the fight. South Florida nightlife hot-spots have the unfortunate reputation of having some of the highest incidences of violence in the state. Victims of this violence, whether as participants or as innocent bystanders, may suffer grievous injuries or even permanent disability or fatality. If you have been injured in a Florida nightclub or bar by assault by another patron, objects thrown during a fight, or perhaps an overzealous bouncer in the midst of a brawl, you may incur many losses such as large medical bills, lost wages, or even lost earning potential in the case of permanent disability. What can you do to recoup some of those losses? Although individuals involved in the altercation – bouncers or other patrons – may be held responsible for injuries they caused, suing them may not help you recover much in the way of compensation. College students, bar-hoppers, and bouncers may not have the kind of income or insurance to cover those kinds of expenses, so most victims of nightclub-related violence go after the bars’ owners instead. 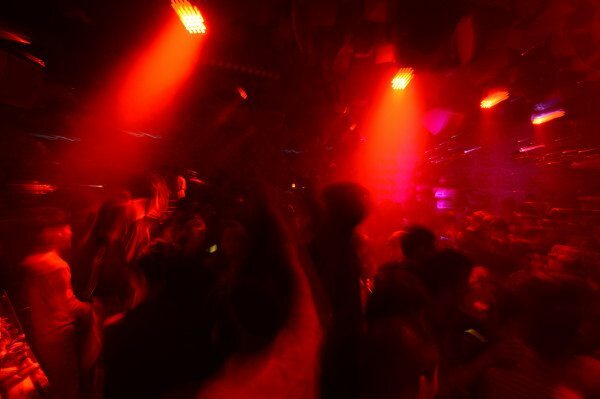 Bars and nightclubs are required to have insurance, and are much more likely to have the kind of money needed to compensate victims for their losses. A claim against a nightclub for damages from a bar fight or an assault would be a personal injury case based on the negligence of the owner. You have to prove that the bar was negligent and that this negligence contributed to your injury. The establishment provided inadequate security for the type of crowd it draws. Those clubs catering to a “rough” crowd must provide more security personnel. The management failed to ban patrons known to have a violent record. Bar employees initiated or escalated the violence. Bouncers were poorly trained or acted with unreasonable force. Tables and chairs were not secured to the floor, causing injury when thrown. Club waitresses or bartenders continued serving alcohol to obviously intoxicated customers. If you can prove one or more instances of negligence, and have sufficient evidence to show the bar’s breach of its duty of care was the cause of your injuries, Florida law will hold the owner responsible for your injuries and the losses you incur as a result. How Do You Prove Your Bar or Nightclub Accident Case? Check criminal records of all bar patrons and employees involved in the fight. Deal with the adjuster working for the bar’s insurance agency. Because there are so many aspects involved in bar and nightclub fight cases, it is prudent to hire a personal injury attorney. In most provable cases involving hard injuries, an attorney will be able to settle your claim with an insurance company for more than you could on your own, and if necessary can take the case to court for you. The Bar / Nightclub Accident Attorneys of Madalon Law have handled these types of cases in Miami-Dade, Broward, Palm Beach and other counties in the State of Florida. They will provide a free initial consultation on your bar fight claim, and if you have a case they will represent you on a contingency-fee basis – meaning you do not pay attorney fees and legal costs unless/until you receive compensation for your bar fight injuries.